The Medicine Ball is a quintessential piece of equipment that every golfer should include in their training and workout regimen. The Medicine Ball Workout allows the golfer to target key muscles needed to produce the power and speed. The Medicine Ball Workout is essential for the golfer trying to improve their distance and speed in their golf swing. 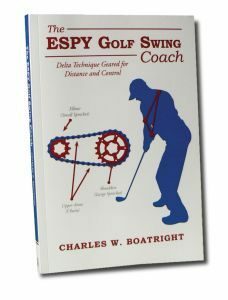 What is more important than distance and speed in the golfer’s swing is health and fitness. Including three simple quintessential Medicine Ball Exercises Workout in the golfer’s training can improve strength in developing The Critical Swing Path. Three simple Medicine Ball exercises not only develop key muscles in the golfer’s wrists, forearms, and arms, but more importantly, the golfer’s core muscles. 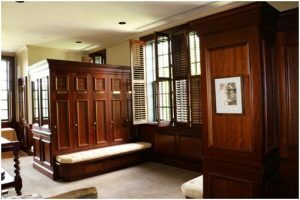 Power and speed do not come from the golfer’s forearms and arms as from the golfer’s core strength. The golfer who wants more distance needs to develop their core muscles as they do their forearm and arm muscles. 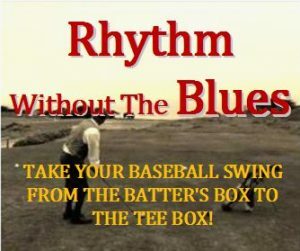 The Medicine Ball is the ideal avenue to accomplish adding power and distance to the golfer’s golf game. Below are three- quintessential Medicine Ball Workout exercises that I have in my home gym workout program called the CASPER (Cardiovascular, Aerobic, Strength, Plyometrics Exercises Regimen) Workout Program. 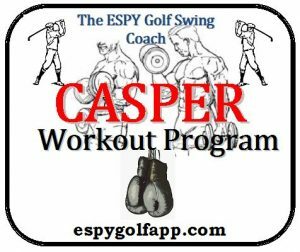 The CASPER Workout Program is contained in Section 20 of my book, The ESPY Golf Swing Coach. The first exercise is the Diagonal Wood Chopping (or Stocking the Shelves) using a Medicine Ball. The second exercise is the Sit Up exercise using a Medicine Ball. The third exercise is the Russian Twist using a Medicine Ball. Below are three YouTube videos demonstrating each of these Medicine Ball Workout exercise routines. NOTE: I only take the Medicine Ball to just blow my knee and no further. NOTE: I anchor my feet when I perform the Medicine Ball Workout sit ups and I bend my knees to take stress off my lower back. During my normal CASPER Workout sessions using these three Medicine Ball Workout exercises, I usually perform 3- sets of 10- reps, with about 30- seconds of rest time between sets. In regard to the Stocking the Shelves Exercise, I perform 10- reps on each side as a complete set before each 30-second rest period. Besides gaining muscle strength to develop The Critical Swing Path in the golfer’s swing, the Medicine Ball Exercise also develops the golfer’s core strength to prevent back and shoulder injuries. These three Medicine Ball for golf exercises improve the golfer’s abdominal muscles, which is crucial for back health and fitness. Back issues are the major source of debilitating injuries in golf. Along with the Medicine Ball Workout for golf used to improve the golfer’s Critical Swing Path, it also improves the golfer’s core strength to prevent injuries. The Medicine Ball Workout for golf exercises can also be incorporated with yoga exercises. Yoga with a Medicine Ball can improve the classic golf swing mechanics, adding flexibility for club head speed. The Medicine Ball should be a part of the golfer’s trainer home gym. Supinator Muscle- This muscle is used to SYNC the golfer’s elbow with the shoulders. This was the tip that Arnold Palmer gave President Eisenhower at a Pro-Am, as reported in the Kingdom Magazine. Thenar Muscle- This muscle is used to PRESET the golfer’s wrists and lock the elbow with the shoulders. This was a technique that David Duval was demonstrating to Charlie Rymer on the Golf Channel. Charlie Rymer referred to it as That Wrist Thing. Brachio-Radialis Muscle- This muscle is used to take the golf club to the top of the swing by flexing (bending) at the elbow and also assisting in two other maneuvers, supination and pronation in the Yaw Ben Hogan discussed these two maneuvers in his book- Ben Hogan’s Five Lessons: The Modern Fundamentals of Golf.